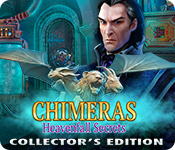 Chimeras: Heavenfall Secrets Collector's Edition is rated 3.4 out of 5 by 15. Rated 5 out of 5 by 1955raven from GREAT GAME........ ELEPHANT HAS A DONE A GREAT JOB, WITH HEAVENFALL SECRETS! THE STORY IS EXCELLENT! THE PUZZLES ARE FUN ! LOVE THE HIDDEN SCENES ! Rated 5 out of 5 by MaryCricket from The missing children at the Wizarding School I loved the game it reminds me of being at Hogwarts School, I loved the storyline, there are collectibles, morphing and magic cards. Loved the bonus story how it added to the main story. Rated 5 out of 5 by winterstorms from another chimeras hit I have loved the chimeras series and this one is no different. I am an old man so like the puzzles that waste a lot of my time and take my mind off my arthritis. The developers have not shown any sign of taking less care and trying to ride on former glory as some do. It seemed that the graphics are better on this one. Rated 5 out of 5 by biscuitsmama from A SURPRISINGLY GOOD NEW CHIMERAS GAME Chimeras Heavenfall Secrets is game number eight in the Chimeras series, one that I think should probably go away, at least for those of us who are past their tween years. That being said, the original game in the series Tune of Revenge to this day remains one of my favorite all time games. Chimeras Heavenfall is a decent game and one that, IMHO, is far better than the past several in the series. Perhaps it is because I love fantasy games and am so happy to be past all of the creepy and psycho laden games of the past month. Although it won’t resonate with everyone, I quite enjoyed finding my way around this game. So what did I like or not like in the game? The graphics were gorgeous, crisp and full of color – something I happen to appreciate in the games I play. On the other hand the high-pitched voices, primarily of Astrid and Greta were not quite so good, which is generally the case when an adult script reader tries to emulate the voice of a child. What sold me on purchasing the game was the storyline along with the HOS and Puzzles. The HOS scenes were good and not quite too easy. I had to use the dreaded hint button several times to make it through one of the early HOS in the game. I always enjoy a game where the HOS are done in the original list style that is used most frequently in this game, although there was some variety thrown into the mix. The Puzzles or mini-games are really excellent, and included many of my favorites. One or two of the multi-level puzzles took some time to solve as they increased in difficulty once you hit the third level - I think I must have spent almost a half hour on one of the door puzzles alone. Okay, I hate to admit it but I never followed Harry Potter since my children were out of the nest when Harry rose to fame so I can play this game without comparison to that well-known series. I totally enjoyed Chimeras Heavenfall Secrets and didn’t need to think about what Harry would do as I proceeded through the game. All in all I have found the game entertaining and quite interesting as I worked with Astrid to rescue her friend Greta. As always, please try the demo to see if you will enjoy this game as well. Happy gaming! Rated 4 out of 5 by dancemom1 from Magic and spells... Hello friends! As usual, I review mostly on the game and not much on the story, as others do a much better job than I. Looks like this makes #8 in this series. Yes, I have all of the others. Graphics are well done, as usual and are quite clear even in close ups. Colors started out quite nice, but then reverted back to the bright oranges. Still, for the most part, they are well done. We didn't have a lot animation in this one, but what we had was well done. Voices are not bad, but a little high pitched, trying to make the characters sound younger than they looked. Game play was very good, with no problems at all during the demo. Music was rather soothing. There isn't much in the way of sound FX, except an occasional meow from a cat you can't see. This game was fairly quiet, except for the constant music. Very little character interaction during the demo. Hops were nothing new, but scenes were clean and clear and items were not hard to find. We have interactive lists and silhouettes. I don't see that we can switch to something else if we don't care for the HOPs. There seemed to be an awful lot more HOPs in this addition than in previous games in the series. 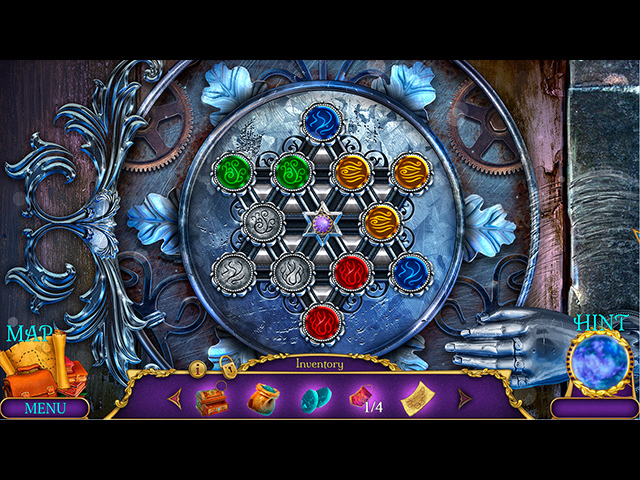 We had a combination of challenging and simple puzzles, but nothing really new. Hint system is quite helpful and it does transport to longer locations. We do a lot of back tracking in this game, and jump all over the place. There is a jump map, but again, it is very bland and boring. Much easier and faster to use the transport feature. I did like the variation of collectibles. We need to find 48 jigsaw pieces, which are fairly large for the most part and easy to see, if you look for them. They blend fairly well into the "orange" hue we have in every scene. We collect 12 pieces each for 4 puzzles. We also have 27 morphing objects. These are all musical instruments. They morph quickly, their colors are faded in order to hide them better, and can be anywhere in the scene. We also have 12 tarot cards. This series seems to have fallen off with this one. It isn't a bad game, but the story moves very slowly and there is almost no character interaction to keep you interested. We return to the same rooms way too many times. The only challenge was in a few of the puzzles. Yes, this one has the "Harry Potter" feel with magic and all that, but it needed some action to keep things moving at a steady pace. Even at that, I like this one well enough to buy it and add it to my ever growing collection. I think most players will like this one for one reason or another. I gave it a 4.0 on my scale. As always, try it for yourself and see what you think. We all have different tastes in games and you may not care for this one at all. Thanks for the reviews. Play on! Rated 4 out of 5 by littleone_17 from Cute but Brief Review based on full game plus bonus chapter. I liked this recent Chimeras game. 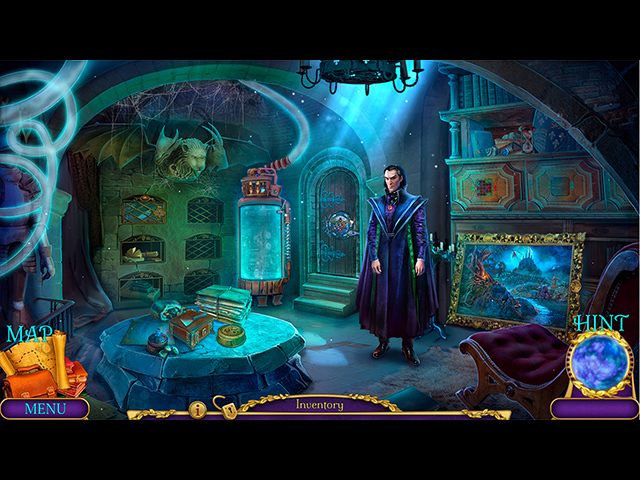 If you like the whimsy and fun of Harry Potter, you will probably enjoy this game. Certainly, you will notice some similarities. The storyline was cute and entertaining. The voice over was largely well done and the music was lovely. The imagery and general artwork were beautiful. The HOPs were definitely on the easier end of things, as were most of the skill games. My biggest complaint was that this was a very short game. Only three chapters plus a bonus chapter. These days I expect at least 5 chapters plus a bonus chapter, especially for what you pay for the Collectors Editions. The bonus chapter was nice, but you won't really miss anything if you only play the main game and don't purchase the collector's edition. If you enjoy cute, happy ending, casual gameplay. This is a nice game to play. Rated 3 out of 5 by yowzasma from Not Good and Not Bad, Just a Tad Above Middle-ish :/ I would have given more stars if we could go back at the end of the game and find the missed collectables but that doesn't seem to be the great Pachyderms desire : ( I do agree with the positive Reviews by my fellow Fishies, but having just completed playing the game I'm still in let-down mode about not finding all the collectables . 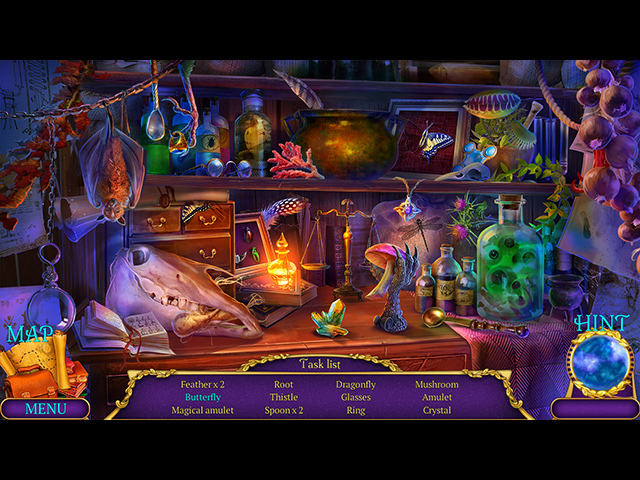 There are never enough hidden object scenes for me but the mini-games were pretty good. Give this Chimeras a try and you may really like it. Rated 3 out of 5 by Majestyx12 from Heavenfall the Magic Boarding School Based on the completed game with bonus content We met Astrid in the last Chimeras-New Rebellion. This time she and her friend Greta are concern that at their magic boarding school, students are missing. The professor of protection against dark forces professor doesn't like Greta. I liked the story and the game play is ok. It had too much placing things and not enough relaxed puzzles. I disliked most of the puzzles and all of them in the bonus chapter. I liked collecting the 27 morphing musical instruments, 48 pieces to make 4 jigsaw that can be used for screensavers and 12 collectible cards. I liked the hops and the unique creatures you ran into. The secret room has 13 replayable hops and 13 mini-games. I liked the game but the gameplay and not many relaxed puzzles put it into just ok for me.